1284094316 -The healthcare industry continues to undergo enormous changes with new laws and policies, fresh innovations, and an increasingly educated health consumer. As such, healthcare administrators must be prepared to shift their strategies in order to meet the demands of this dynamic market. 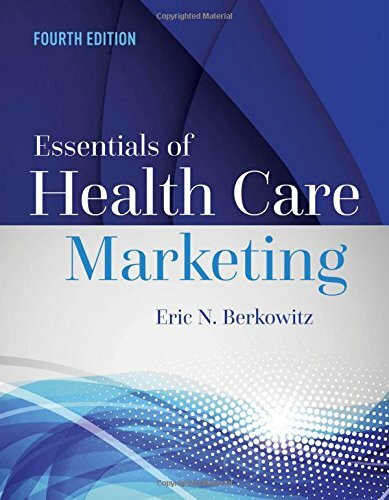 Essentials of Health Care Marketing, Fourth Edition will provide your students with a foundational knowledge of the principles of marketing and their particular application in health care. Moreover, the text offers a perspective on how these principles must shift in response to the changing environmental forces that are unique to this market. This complete curriculum of marketing management tools and techniques is ideal for graduate courses, though advanced undergraduates can readily grasp the level of presentation. New to the Fourth Edition: Chapter 3 (Environment) heavily revised to include new health care delivery models, increased competition, foreign competitors, and health care reform. Chapter 4 now includes discussion of exchanges. Chapter 10 addresses increasing amount of system consolidation.